Yum: nachos smoked on a wood pellet grill. Our new Traeger helped us make this delicious dinner. Layers of chips, Trader Joe’s enchilada sauce, Mexican rice, black beans, and cheese topped with chicken covered in taco seasoning and also cooked on the Traeger. Lastly, home-grown green onion from my garden and sour cream top them off. Smoky goodness! 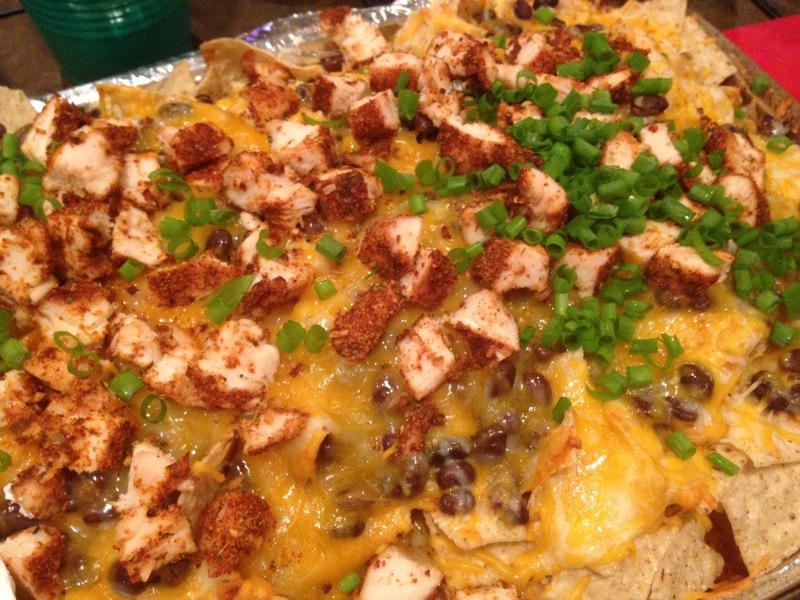 This entry was posted in recipe and tagged barbecue, chicken, delicious, Dinner, green onion, grill, home grown, nachos, recipe, smoked, traeger, Wood pellet grill. Bookmark the permalink.